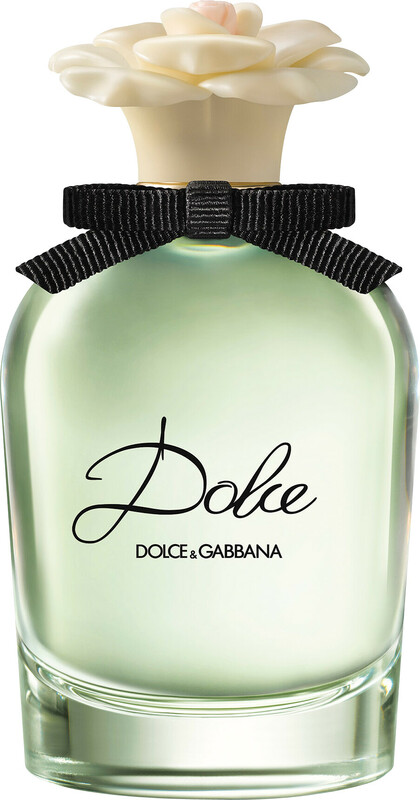 A true floral signature, the Dolce & Gabbana Dolce Eau de Parfum presents an elegant vision of romance. The feminine fragrance is inspired by the legendarily noble beauty of Sicily, its gardens abundant with fresh white blooms. Pairing the best of vintage glamour with a contemporary edge, Dolce is a timeless eau de parfum, presented in a beautiful flacon and topped with a ‘marzipan’ flower reminiscent of those seen in the windows of Sicilian confectioners. 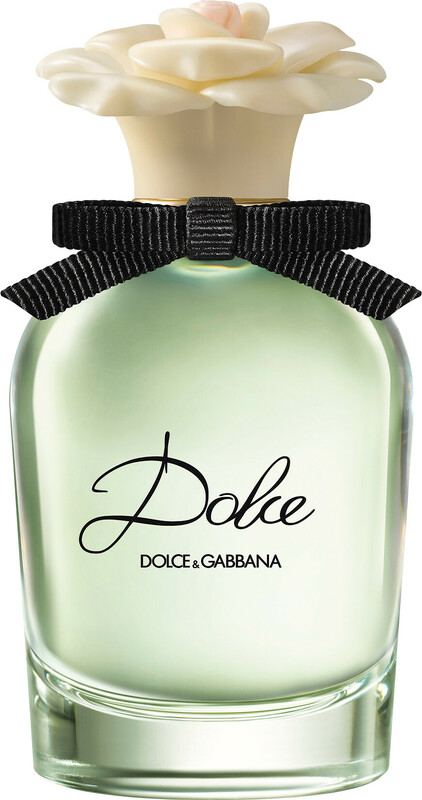 Dolce opens with a bright and uplifting burst of neroli and papaya flower, sweet yet refined. The centrepiece is the full-bodied white amaryllis, a flower used for the first time in perfumery, captured using a process as complex and extraordinary as the fine embroidery of a dress. In the dry down, a smooth and sensuous trail of musk and cashmeran leaves a lasting impression. Dolce & Gabbana Dolce Eau de Parfum Spray is rated 4.6 out of 5 by 17. Rated 5 out of 5 by Nina879 from Perfect Summer Fragrance When I first purchased this, escentual were the only site that retailed it cheaper than debenhams, boots, the perfume shop etc.. The perfume is divine my all time favourite and it lasts all day I can even get a hint of it on me when I wake up in the morning. Must have! Rated 5 out of 5 by Katefreespirit from Excellent service, lovely product The service from Essential is excellent - item arrived very very quickly following order, and was packaged well. 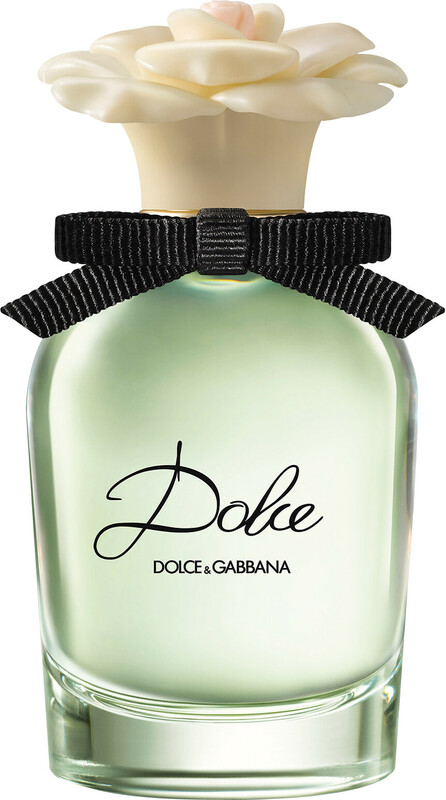 The Dolce perfume is subtly floral and perfect for spring and summer. Rated 5 out of 5 by librarylady from Just beautiful This is such a lovely fragrance, floral and sweet but not heavy. Perfect for anytime day or night, summer or winter. Rated 1 out of 5 by winalf from disappointing Very disappointed with this product ,scent is weak and disappears very quickly. The scent has a "cheap" smell.